Send a gift that's equal parts playful and delicious. Assortment includes three gourmet cheeses with a sense of humor. 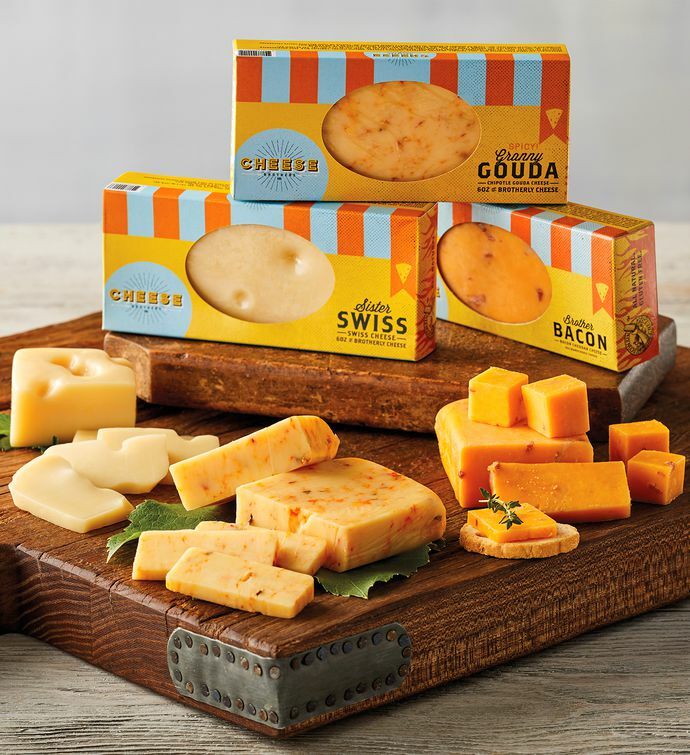 There's Sister Swiss, a classic Swiss cheese; Granny Gouda, a spicy Gouda with chipotle peppers; and Brother Bacon, which is cheddar cheese with small bacon pieces. This gift is sure to bring a smile to the cheese lover on your list.